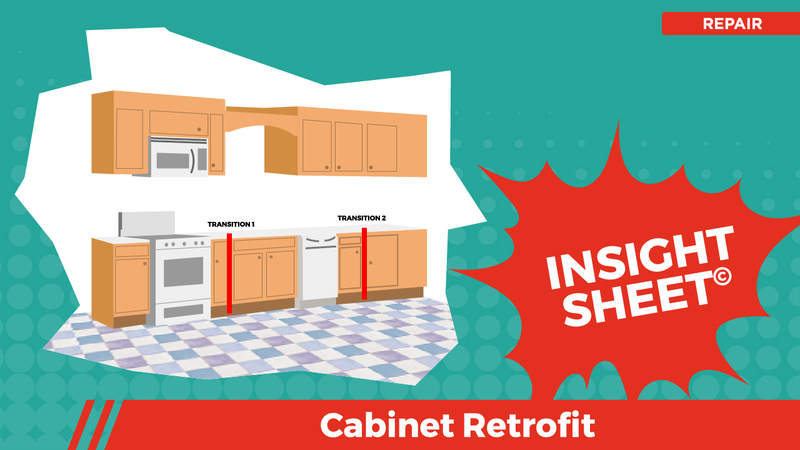 This repair Insight Sheet(C) seeks to highlight the labor and materials required to extract and replace small quantities of lower cabinets. The nuances include the fact that the doors/knobs are being salvaged and all lower and upper cabinets are being stripped and refinished with an eye toward ensuring reasonable uniform appearance. Typically, cabinets are extracted and the countertops are temporarily supported during the mitigation phase. This project was unique, as the Mitigation Contractor made best efforts to dry the cabinets in place. However, it was ultimately determined that 8 linear feet of the lower cabinets would require removal and replacement (R&R). 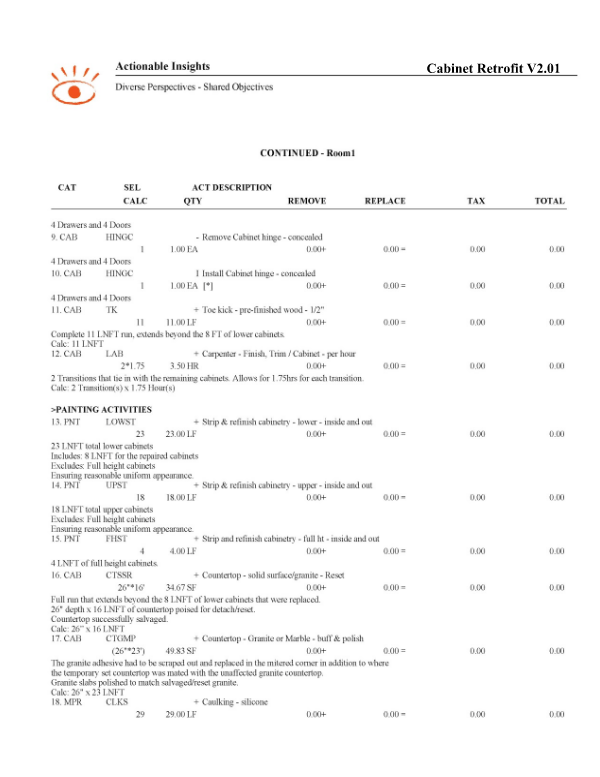 This Insight Sheet(C) exists to clarify how one might invoice for a cabinet retrofit. This does not seek to include or make concessions for all equipment and/or activities as it relates to a loss of this nature.